It's BUG WEEK!!! Today I am sharing my third bug week craft featuring spiders! Spiders are actually arachnids, not insects, but during bug week we are focusing on creepy crawly things, so we've decided that they fit right in! I made sure to explain to the kids that spiders aren't insects... but that we are callling them bugs! Our favorite spider book is The Very Busy Spider by Eric Carle. After we read the book this week we used some simple materials to make spider hats! 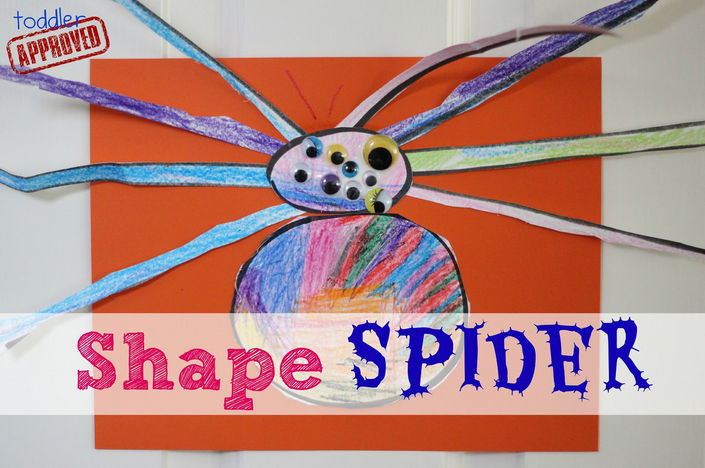 In this post we'll also share a few other favorite spider crafts and activities too. Spider hats are actually pretty easy to make. To start you'll want to cut out the center of the paper plate by folding it in half and then cutting around the inside to make a giant circle. For more visual instructions, check out this video from Netmums. Instead of cutting out the center of the plate into hearts or bunny ears (like in the video), just leave it as a big circle for making a spider's body! Once the circle is cut out, check and make sure the hat fits on your child's head. Next you can decorate the hat! We made one hat colorful using dot markers and the other hat just had a very boring black circle stuck to it along with eight black legs. We added googly eyes to the spider's head and we added strips of paper to make the spider's legs. My daughter also wanted to add a mouth to one of the spiders, so she cut one out and glued it to his head. Once everything dried the kids were all vying for their chance to wear the spider hats! 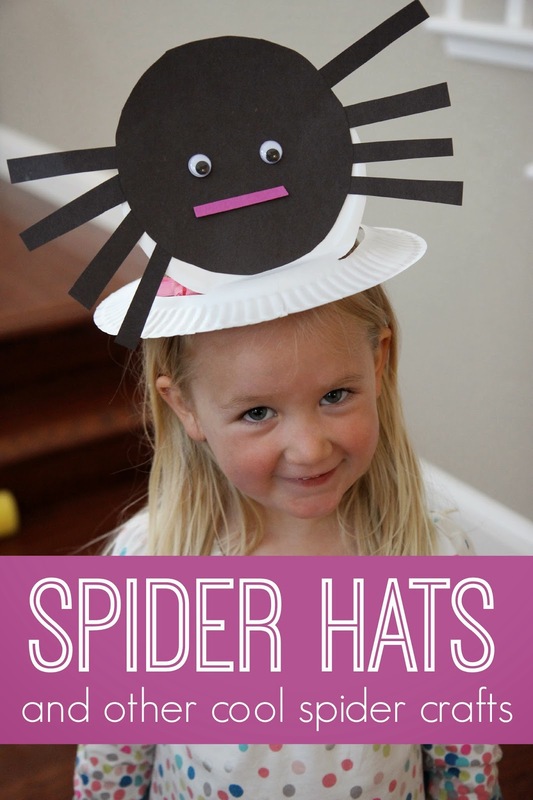 We've made spider hats before, but these were much simpler and I think they turned out cute. What are some other fun crafts or activities you've tried that are spider themed? Do you have any favorite spider themed books you can share? To follow along and check out some of the bug activities that we're sharing this week, pop on over to our bug week landing page. We'll be updating it every day. You can also check out our Bug Crafts and Activities pinterest board here. Also, we're doing a fun sponsored campaign with Great Clips this week! If you want a chance to win your back to school list, click here to enter to win. I can't wait to see who wins it!